Small Planet Living is an online, epubs, and on-demand print publisher. We are just beginning to tie our projects together under one roof, so feel free to contact us if you have questions. We offer writing, design, and web communications services. Antique Home Style is about old houses built between 1900 and 1960. Midcentury Home Style. We got so absorbed by the variety of houses we created a site to focus on the mid 20th century and the Atomic Age home styles. Bungalow Home Style is a spin off of Antique Home Style. We love bungalows. Not much else to be said about that! Small House Living.org covers small houses new and old, kit homes, and recycled house parts among other things related to living on a smaller scale. We are fond of small furry animals, especial Corgis, in addition our many human small business friends. 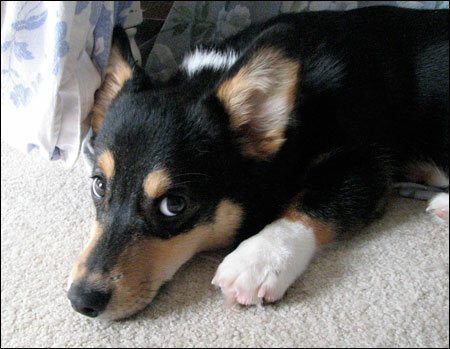 Our perfect client would be a corgi who pays bills on time, but without opposable thumbs, it's unlikely to happen. Lavender's Green Historic Clothing — Kay Demlow specializes in creating historically correct replica clothing for living history museums and interpretive centers.